There’s a tough balance between new and old that remakes of beloved classic movies always have to maintain. Too much new stuff and fans might find the story unrecognizable. Too much old stuff and people will question the point of doing the remake in the first place. But sometimes the movie you’re remaking is Point Break, and then you can just do whatever you want. In a bold move, one of the changes the Point Break remake will be bringing to the table is that all of the characters will be played by different actors this time around. We already knew that Gerard Butler would be taking on Patrick Swayze’s role—that of surfing bank robber Bodhi—and that G.I. Joe: Retaliation’s Luke Bracey would be playing Keanu Reeves’ Johnny Utah—the undercover FBI agent who falls in man-love with Bodhi. 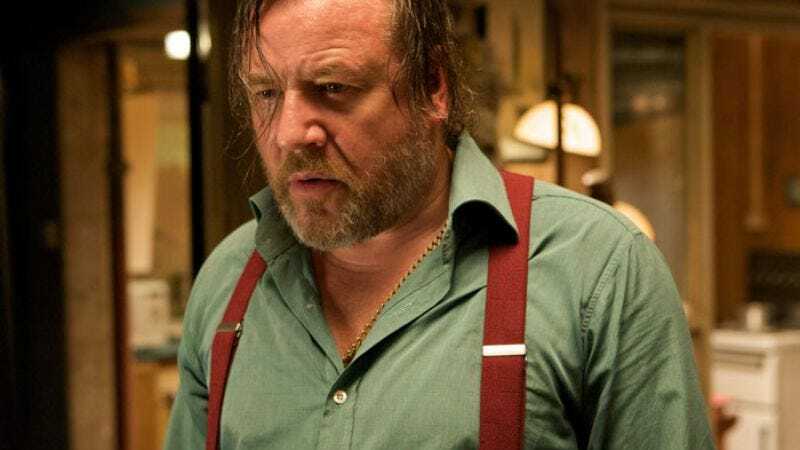 Now, Variety is reporting that Noah’s Ray Winstone will be playing Johnny Utah’s older, grizzled FBI agent partner Bracey, played by Gary Busey in Kathryn Bigelow’s 1991 original. It can’t be easy to put any kind of new spin on a Gary Busey character, but maybe Winstone will be able to ground him in a more believable way. Or maybe he’ll just go even crazier. Again, that’s the best part about remaking Point Break: You can do whatever you want.